Ford’s US sales totaled 214,364 units in April, a 4.9% year-over-year increase from the 204,323 units sold in April 2014. Ford Cars were up 1.3%, Ford Utilities were up 12.3%, and Ford Trucks were up 2.8%. 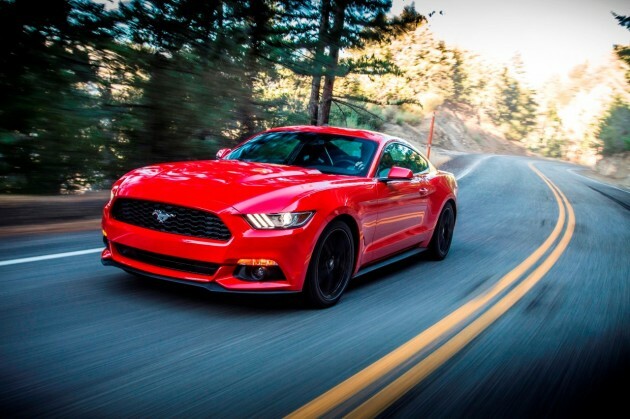 Not surprisingly, Ford’s biggest gainer in April was once again the Mustang, which increased from 7,243 units sold in April 2014 to 13,144 units last month. Thus far, the new Mustang is selling 60% better than its predecessor and is well on track to take back the crown in the segment it helped invent. Apart from the Fiesta, which was up 2.7% with 5,982 units sold, all other Ford-branded vehicles were in the negative. The Fusion led the way with 24,954 units sold, followed by the Focus with 18,100 units. On the other hand, almost every Ford utility made sales gains in April. Escape was up 4.8% with 25,770 units sold, followed by Explorer with 16,585 units (down 0.3%) and Edge with 13,097 units (up 77.6%). These three models combined gave Ford its best April ever for SUV sales. The F-Series remained steady with 62,827 units sold, a marginal 0.9% decrease from the year prior, bringing its to-date sales total for 2015 ever closer to a quarter-million. F-Series alone accounted for 63% of all of Ford’s retail sales. Transit accounted for 10,913 units sold, bringing its to-date total to 33,794 units.